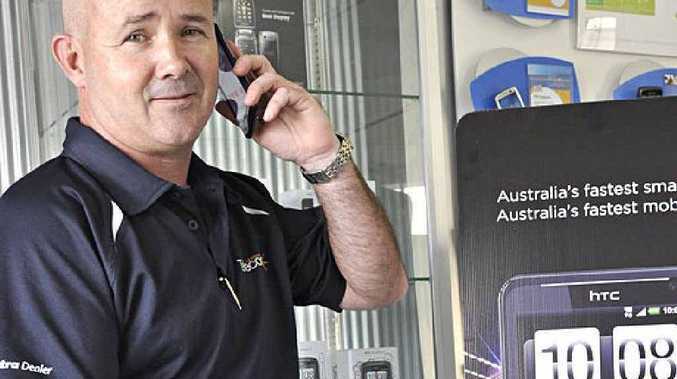 PHONE dealers are preparing for a rush of new customers after the launch of the HTC Velocity smart-phone yesterday. Leading Edge Telecoms director Phil Neidler said the new technology blew the Apple iPhone out of the water. As people come to the end of their phone plans over the coming months, he expects plenty of iPhone users to make the switch. "It's all about marketing - Apple is very good at it - but people will soon realise how good these are," he said. The HTC Velocity is Australia's first phone to use the 4G network, already unleashed in Toowoomba. "It's so fast you can get to the front of the queue when you go to buy things like Big Day Out tickets," Mr Neidler said. "It also means you can watch YouTube videos without the 'buffering' while it loads."